Understand the digital data supply chain with Path by Rebel AI. Enter any URL here to get your free detailed analysis on what data pixels are being dropped and who is dropping them on your site. Identify the paths of every content request, ad call, and redirect on a single website page load. 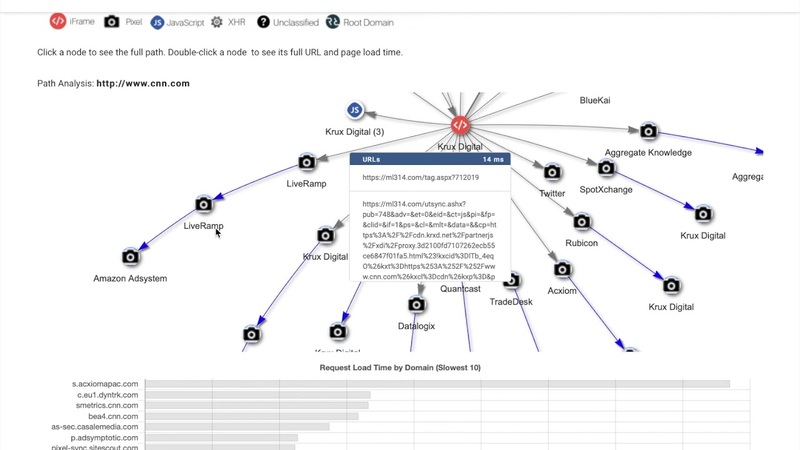 Visualize the flow and provenance of data and identify unintended vendors adding code to your site or ad creative, and other activities that impact site and ad creative performance. Contact us for more information about how we’re applying blockchain in advertising.